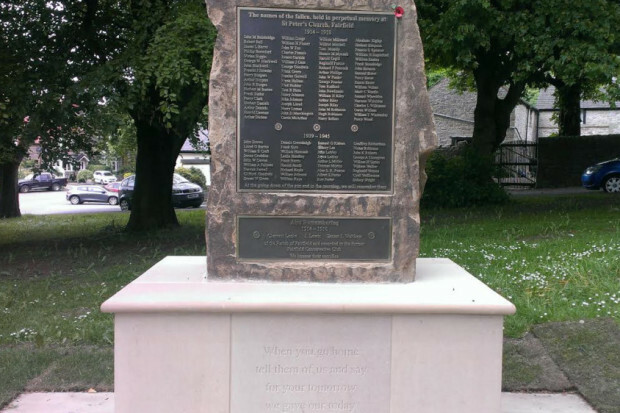 The Memorials in Buxton and surrounding areas on which the ‘Fallen of Fairfield’ are remembered. 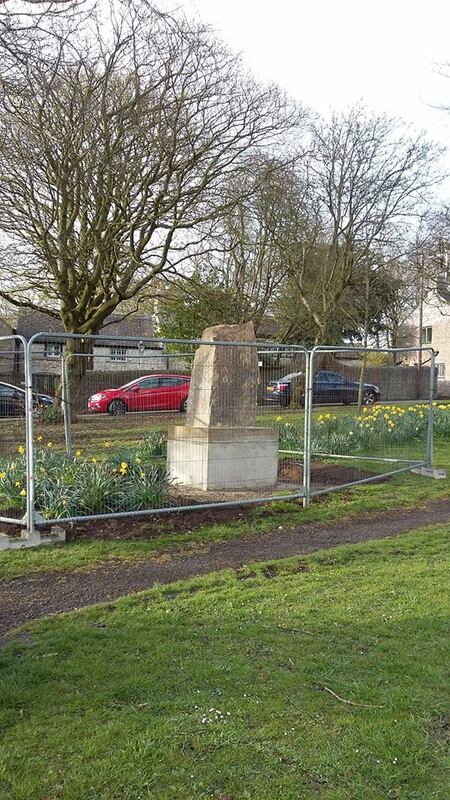 This now includes the new memorial on Fairfield green outside the St Peters Church. 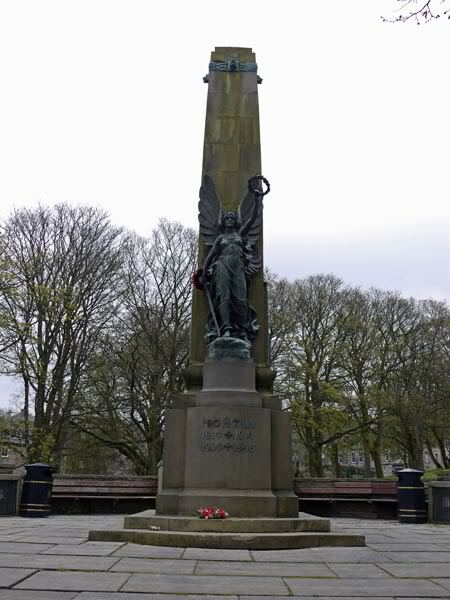 The ‘Slopes’ Memorial is Buxton’s official Memorial to all 315 men and 1 Woman who lost their lives during WW1, a further 69 Men and 1 Woman was added following WW2. 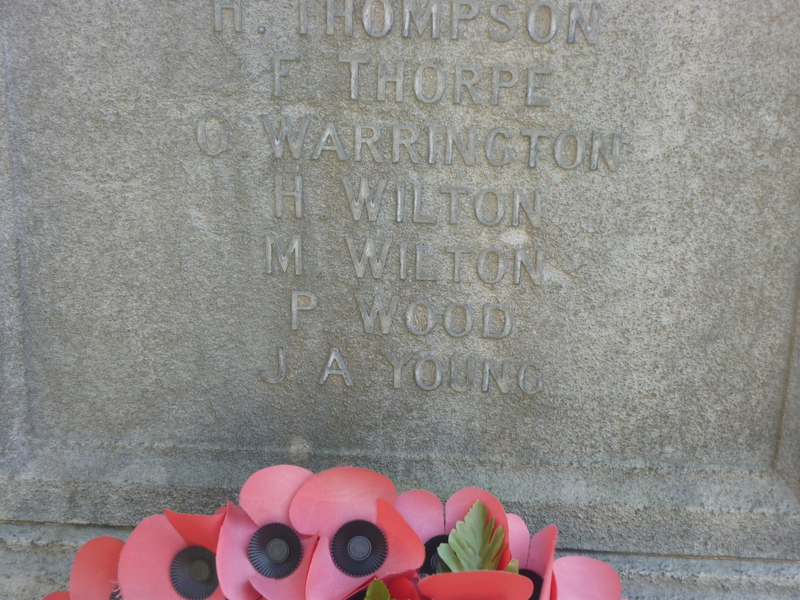 In 2010 permission was granted and 2 further names were added that of Spr G Ponsonby who lost his life during the Cyprus Emergency in 1956, and Marine Scott Taylor who lost his life in 2010 during the Afghanistan Conflict. The above memorial is as yet to have the Dedication Ceremony for which the date has yet to be set & there is still a little more work to do. 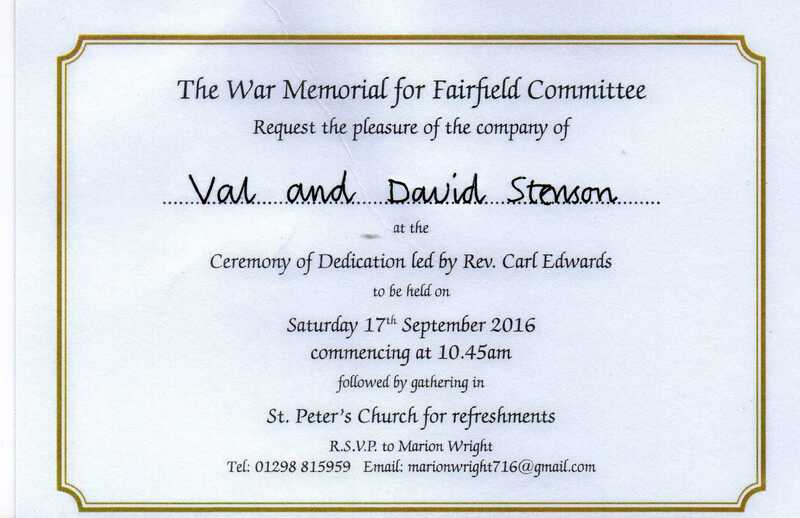 The link above explains why & how this memorial has been achieved & is a tribute to Fairfield, it’s residents & St Peters Church. The new finished Memorial on the green just below St Peters Church, Fairfield. The Ceremony of Dedication will take place on Saturday 17th September at 10.45am and will be led by Rev. Carl Edwards. 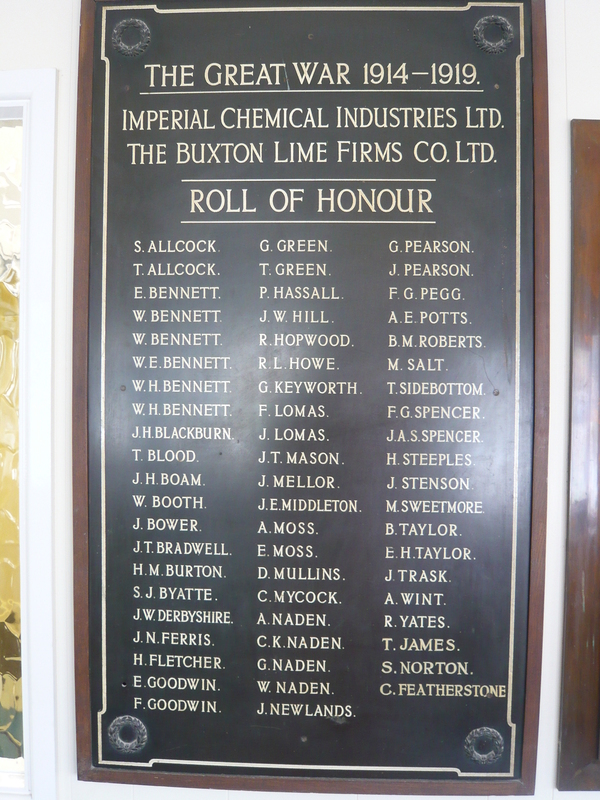 Buxton Lime Firms Limited, later Buxton Lime Industry Ltd comprised of many small local quarries and employed many men from Buxton and surrounding areas. The companies offices in The Royal Exchange were located in Spring Gardens next to the Grove Hotel. It was here that the WW1 Memorial was originally erected. 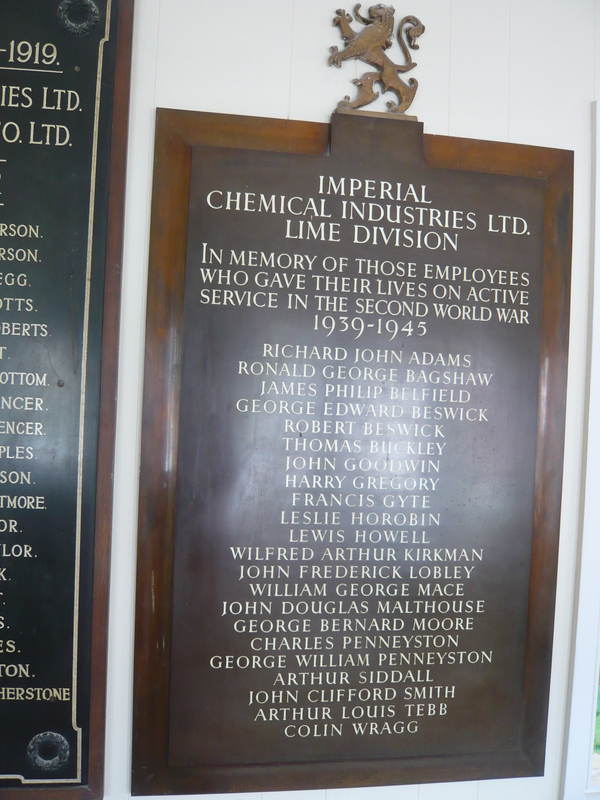 The memorial remained there until 1981 when it was removed and re-hung in the foyer of the main offices at Tunstead Quarry, it hangs side by side with the later WW2 Memorial. 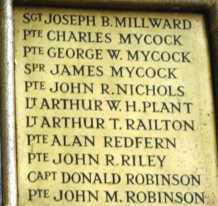 There are only 2 men from Fairfield remembered on the WW1 Memorial as shown above Herbert Moss-Burton and John (Jack) Stenson. 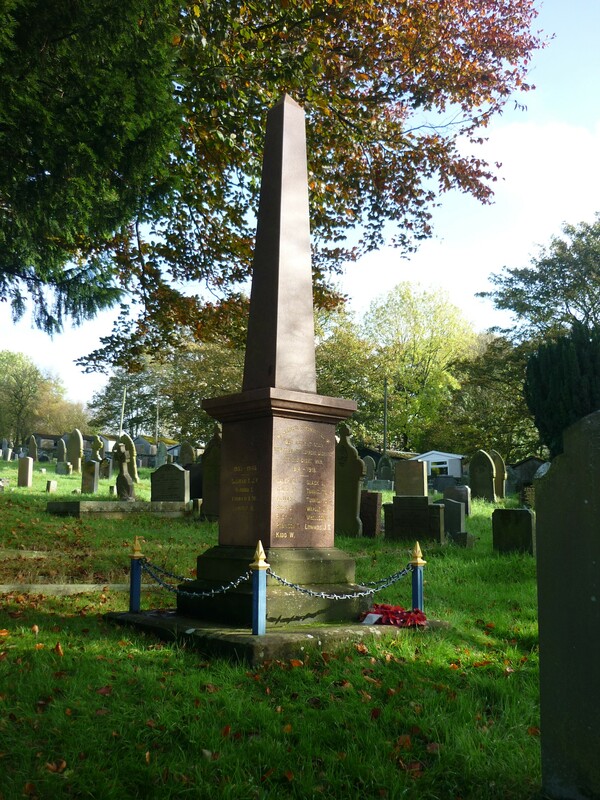 There were many meetings in Burbage to decide what sort of Memorial would be the most suitable. 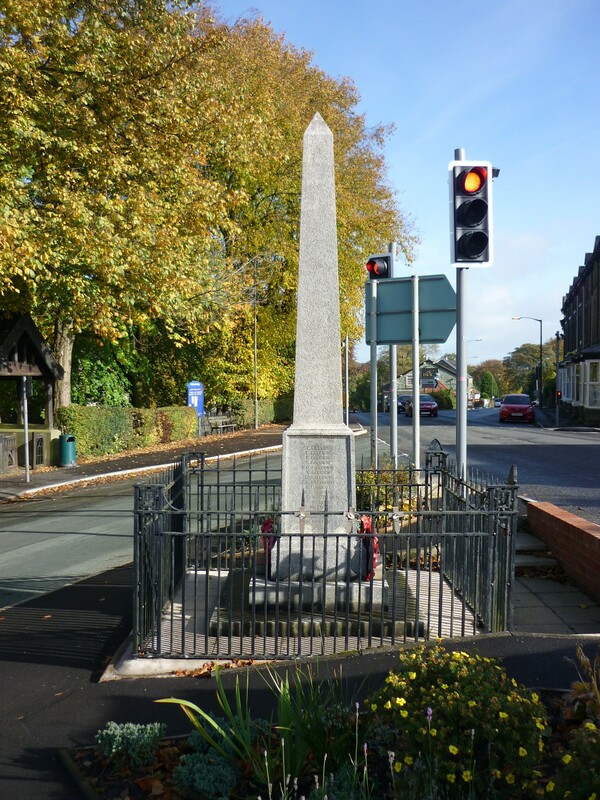 The Memorial below was adopted following a meeting in September 1919, the Borough Council proposed the site and a Stone Obelisk was to be built, many residents had wanted a Memorial Park, however many seemed to be more concerned at the length of time taken to decide anything at all. 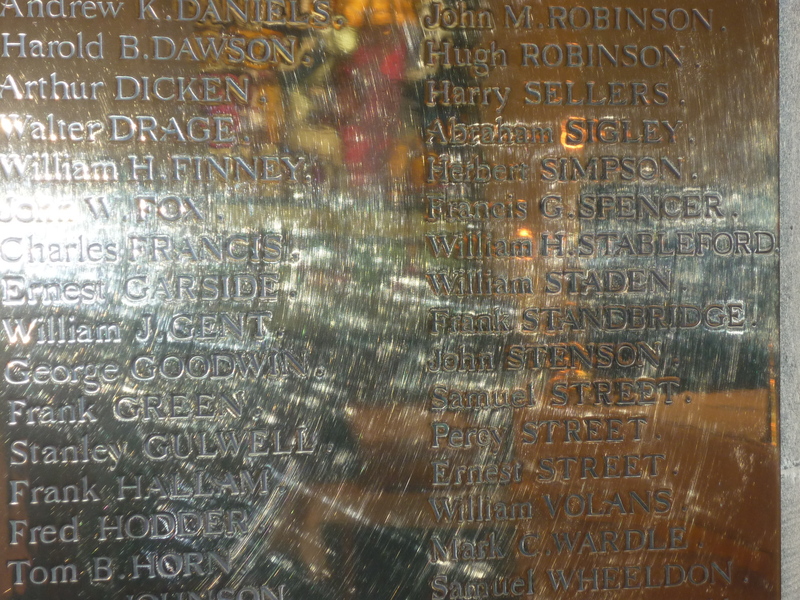 By the November locals were putting forward names to be included on the Memorial, even this was not straight forward as some names were added and others removed. 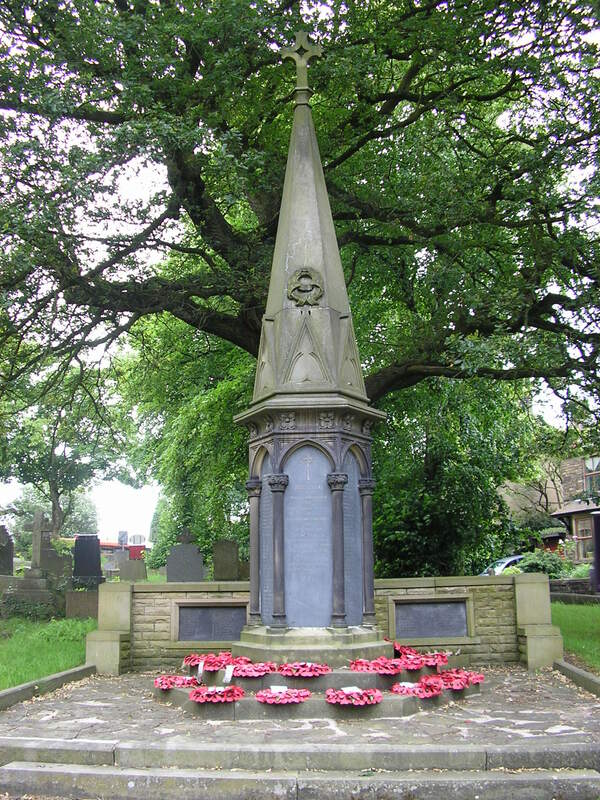 By September of the following year 1920 concerns were voiced, Buxton now had their Memorial and so had Fairfield. After this things moved forward and on 6th November 1920 the Memorial was unveiled. The Memorial is located at the Crossroad near to the Church. Christ Church itself has it’s own Memorial inside the Church, there is a Stained Glass Window in The Lady Chapel dedicated in 1925, there is also a Memorial Tablet, Percy Wood’s name is on both the Memorial in the Church and the Obelisk. The Memorial at Longnor is located in St Bartholomew’s extended Churchyard. The memorial can be seen and accessed from Church Street. James E Daniels, George Goodwin, Harry Lomas, Clement Leeke, J Lewis, H Simpson, F Standbridge, E Walthew. 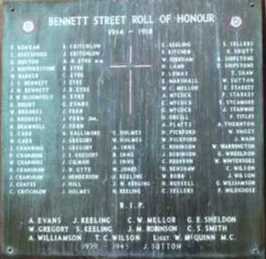 The Memorial Plaque is in The Sports & Social Club located on St Peters Road, Fairfield. The plaque is placed opposite the bar near the main entrance. 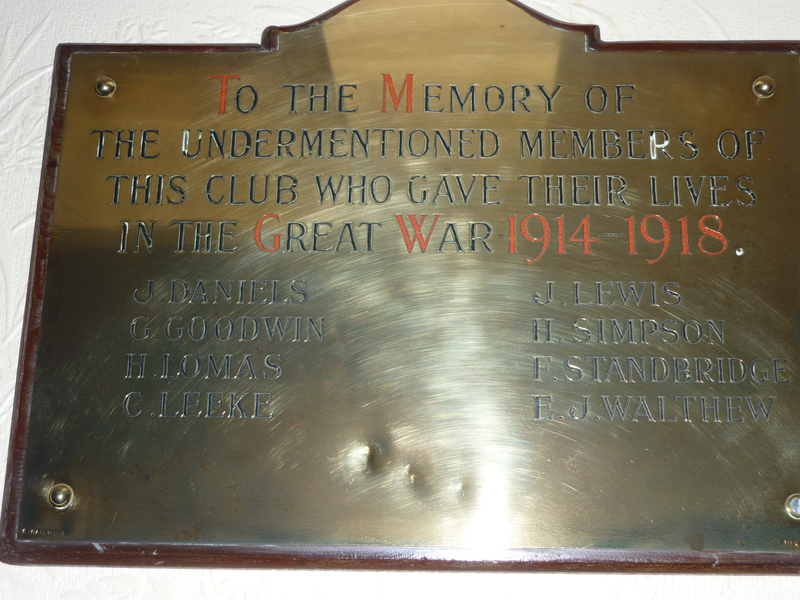 The Club at the turn of the century was The Conservative Club, all but 3 of the men remembered on the plaque are on the Memorial at St Peters Church, the exceptions being Clement Leeke, J Lewis and E Walthew. The men were all members of the club at the time of their death in ‘The Great War’. 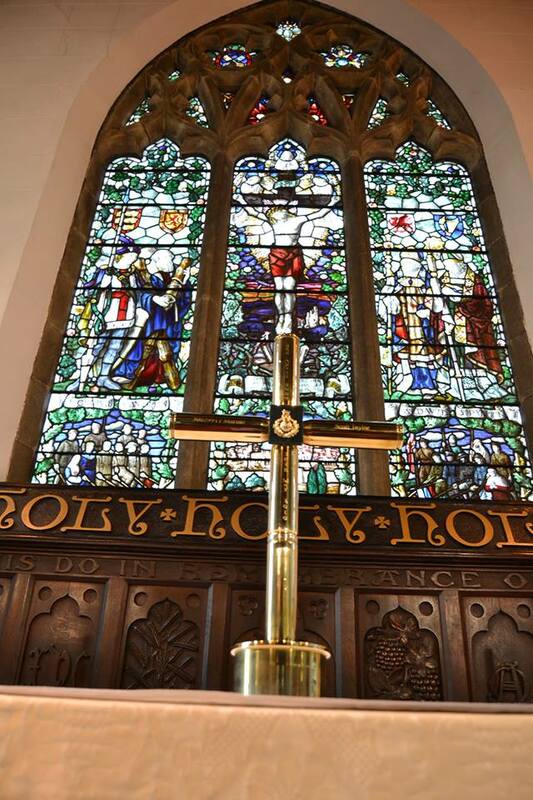 In 1916, an ornate glass fronted case was hung on the gates of New Mills Parish Church. 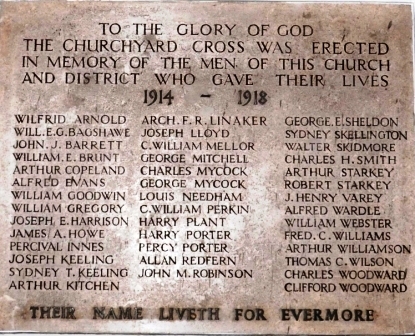 There was a Roll of Honour inside the Church, containing the names of those New Mills men who had fallen. The Roll was updated each time news arrived in the town. 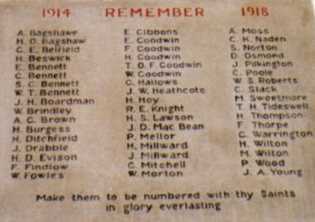 On the 9th of June 1917,the roll contained 73 names, by October the number had risen to 100, The New Mills Cenotaph was designed in July 1918, by Mr Emery, Art Master at the Secondary School. The work was carried out following a request from the Parochial Church Council. There was a small Oak tree behind where the Memorial was to be built. It was hoped that the memory of the ‘fallen’ would grow mightier as the tree grew. 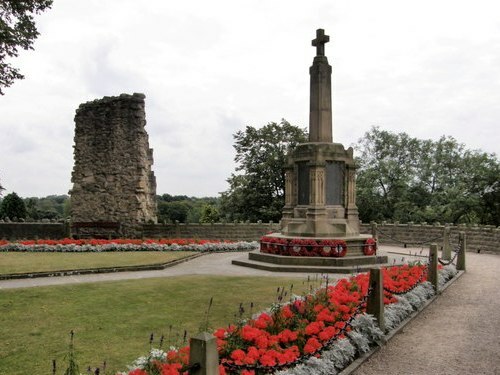 The memorial commemorates the residents of Knaresborough who were killed or missing in World War I, it contains 156 names including William Percy Clarke who came from Knaresborough. The memorial stands on the Castle overlooking the River Nidd.